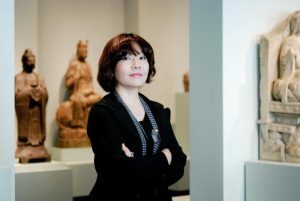 The chief curator of the Mori Art Museum Tokyo, Mami Kataoka, will visit Finland in September under Frame’s expert visitor programme. In this discussion to be held at the Helsinki Art Museum HAM, Kataoka will talk about her practice and one topic in particular: how different cultures have different ways of perceiving nature as relates to their climate, belief systems and folklore traditions. Starting with a look at Japanese perspectives on nature and tradition, this lecture will explore how our awareness of the invisibles has the potential to open up our view of the universe and diverse value systems in a globalised world, helping us seek a state of equilibrium.